CompUSA, which has long been struggling against rivals Best Buy and Circuit City, and who seem to have lost the geek market to more specialty chains like MicroCenter, will be closing 126 stores, more than half of their remaining store fleet, throughout the country. They’ll be pulling out of many major markets, including Dallas and Boston, entirely. The inevitable has occurred: Federated Department Stores is no more. No, they’re not closing, but they’ve decided to abandon the increasingly-esoteric company name in favor of rebranding the entire chain as Macy’s Group, Inc. The article also notes that Macy’s same-store sales are up, but that they continue to disappoint at former May-branded stores. For some inexplicable reason, Comp USA is pulling out of the entire DC area, but two of the three Baltimore-area stores are staying. Can’t say I’ll miss the one that’s going (Glen Burnie). They had the rudest and most inept customer-service drones known to mankind. I don’t live in the US but I remember the past few years that I have visited, I’ve noticed all the Bon Marché stores in Montana, Idaho and Washington state change over to Bon Macy’s and then just Macy’s. 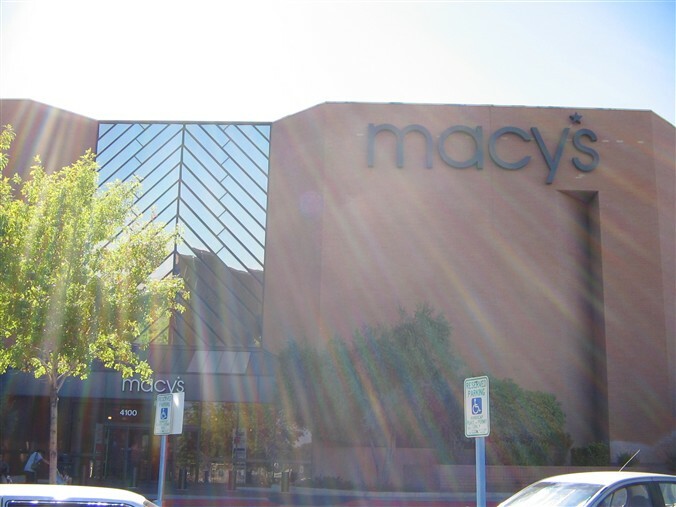 Are there any stores left that are part of Federated that aren’t Macy’s, and if so, what and where are they? Chris, if you look at the store finder on CompUSA’s site, it only lists the stores that survived the cut. Tyguy: Federated–erm, The Macy’s Group Inc.–still owns and operates Bloomingdale’s, which is their more upscale and fashion-oriented label. However there are far fewer of them spread throughout the country and they only account for 10% of Federated’s total sales. They need to get rid of that obliquitous star before the Macy’s name. Makes it look rather cheap. You think the star looks cheap? Just consider this – the star logo came from a tattoo that W.H. Macy had. Just think of what the logo COULD have been! Dave, you’ve made a good point about the star logo based off of the tattoo that W.H. Macy had. I read something about the history of the chain and remember that fact. However, when I think of the star, I think of Wal-Mart. In a way, it also symbolizes America because that’s where the retailers are based. The reason I think it looks cheap though is because it’s a plain looking star, which is perfectly fine, it’s just my own preference. Now, a logo which I distinctively remember happens to be of the former Pittsburgh-based Horne’s chain, which used two horns, one flipped one way and the other flipped the opposite way. They were combined together to look something like the infinity symbol. It was a pretty cool logo, which you can see at the link below. May was suffering from declining sales when the merger took place. In some ways, the continued decline is not surprising. Ending the Federated name is not such a big deal. 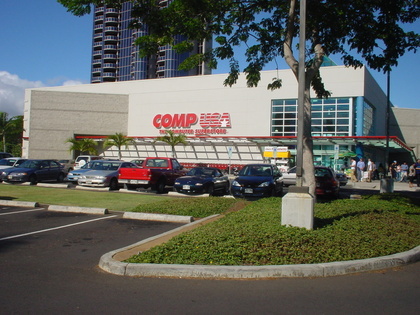 CompUSA was a great concept 10-15 years ago, when computers were still novelties and many computer retailers were pretty schlocky and savvy people bought from manufacturers. Now, computers are commodities and you can go to many places for computers, softwares, or peripherals. Like many service businesses, they sacrificed service to lower labor costs and, in the process, did in their niche. They also seemed to reduce their merchandise depth, which further eroded their place in the market.They’ve been in decline for quite awhile. I’m surprised they’ve lasted this long. Exiting prime markets like DC and Boston means that it’s just a matter of time before the whole chain is liquidated. CompUSA was one of those worst retailers, so the shutterings are no surprise. They only time they responded to customer complaints is when they filed a complaint with the BBB (check their record out for fun). It’s closing does leave a hole, though.Now there is no computer store for the 150,000 tech-saavy residents in my area. I guess you can still pick up a Cat5 cable at Radio Shack. Perhaps Fry’s will pick up the slack.